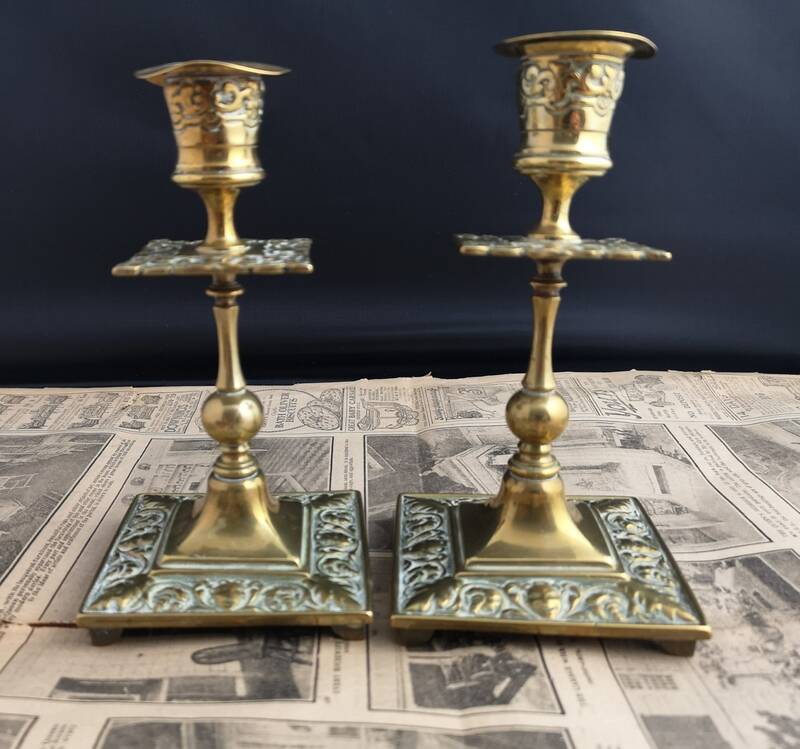 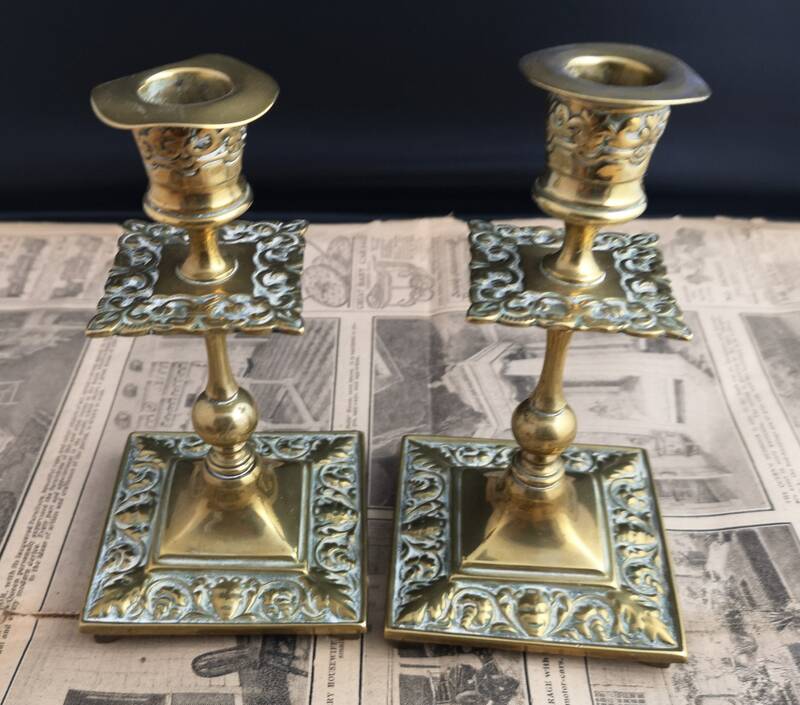 An attractive pair of antique, Victorian brass candlesticks. 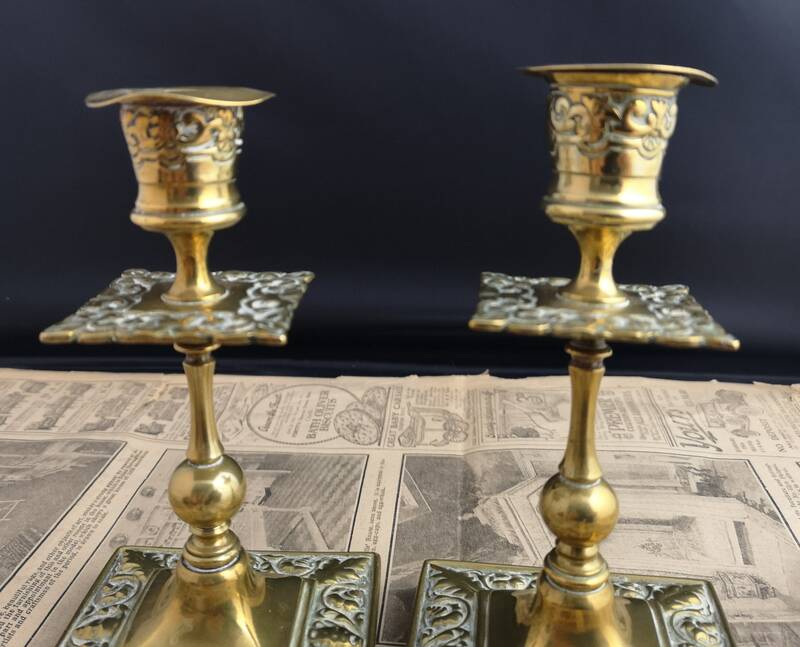 Highly decorative with detailed bases and drip mounts. 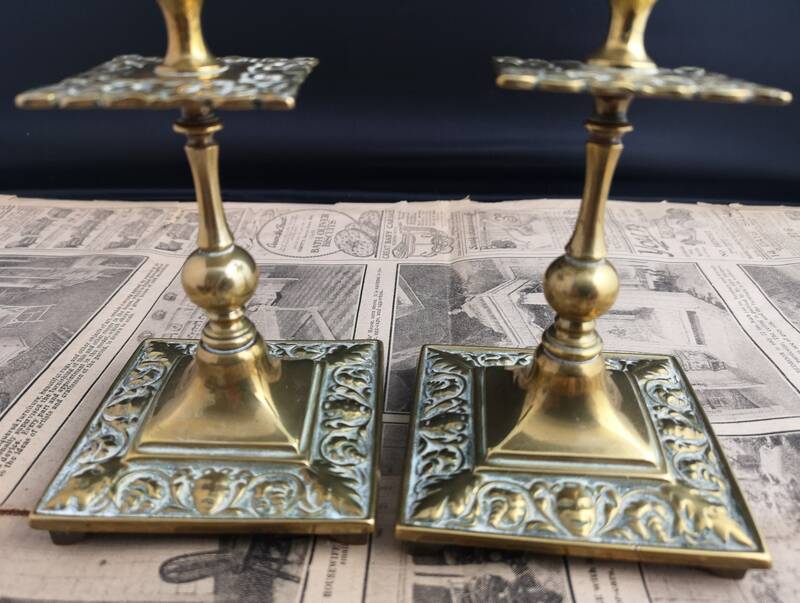 They have the comedy / tragedy theatrical masks and scrolling elaborate borders on both. 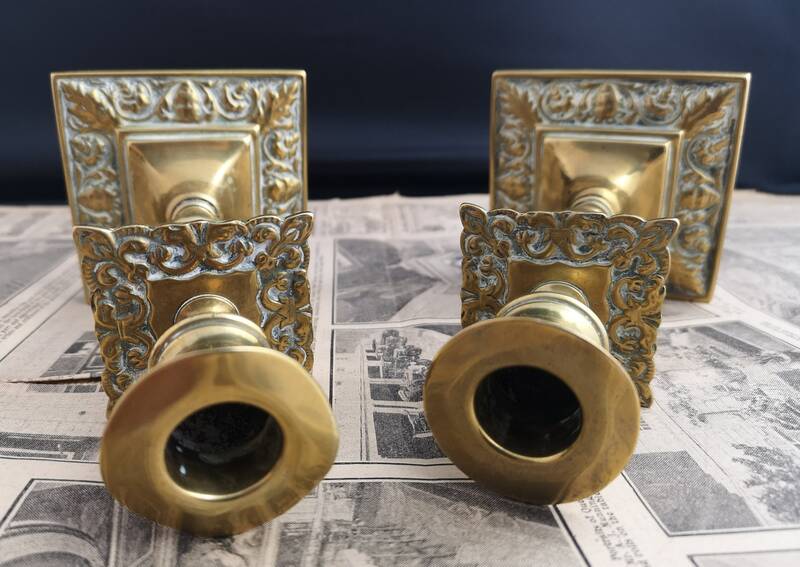 The brass is lovely and shiny and they are in a fair condition, they have some dents and dings.